"Fundamentally changes how you look at the role of information technology and takes it to the leadership level, which is the only way for business performance to be maximized in this global economy." "Information Revolution is truly a must-read for those who generate, support, and make decisions for their respective organizations. By the way, that would be everybody." "As this book clearly describes, information management advances both through evolution and intelligent design. The ideas herein will help any organization avoid extinction!" "This model captures the best practices from the early stage of Business Intelligence development through the most sophisticated environments where the value and nature of information is unquestioned. All of us should strive to reach the final level. And now we have the ultimate guide to help us get there." --Claudia Imhoff, President, Intelligent Solutions, Inc.
"Managing a successful Business Intelligence effort requires a long-term view and this means leaders must have a methodology to guide them as they navigate their organization through the BI evolution. Information Revolution provides the prag-matic road map all executives can understand and follow." "Information Revolution is the perfect blend of 'what,' 'how,' and especially 'why.' This book is a must-read for those driven to excel in this information-based world, instead of being another 'me, too' along for the ride." "Information Revolution provides a powerful framework for assessing the current state of your company's systems and its decision making capabilities. It then presents a clear process for moving your systems and your company toward an adaptive and innovative enterprise." Jim Davis, senior vice president and chief marketing officer for SAS, is responsible for providing strategic direction for SAS products, solutions and services as well as global messaging about SAS. Upholding the company’s focus to be customer driven, Davis helped lead the transformation of SAS from a tools provider to the customerdriven software solutions provider it is today. He has built a team of strategists with industry-specific expertise who research the marketplace and partner with engineers in R&D to hone customized solutions for each industry. He has overseen a dramatic increase in SAS’ profile. Also known for his industry leadership, he has helped develop the Information Evolution Model, a means for companies to assess how effectively they use information to drive business. By outlining how information is managed and utilized as a corporate asset, the model enables organizations to evaluate their use of information objectively, providing a framework for making improvements necessary to compete in today’s global arena. With a bachelor’s degree in computer science from North Carolina State University, Davis began his career as a software developer, providing systems for large newspaper publishers. He went on to manage software development and information technology for a large publishing organization in the southeastern United States, and then to assume the general manager role for a regional business magazine in Charlotte, N.C. He then returned to technology leadership, directing IT operations for a global engineering society based in Research Triangle Park, N.C. Davis joined SAS in 1994 as an enterprise computing specialist focused on IT issues. He served as program manager for data warehousing, one of SAS’ first global projects to incorporate customer feedback in the development process. It was in this role that he began to develop the model for continuous communication among engineers, marketing experts, and customers that he champions today. From there he was promoted to director of product strategy, and then vice president of Worldwide Marketing before assuming his current role. Gloria Miller heads the international professional services division (PSD), is the executive manager for the development of the SAS Industry Intelligence Solution development team, and is on the board of Directors of SAS Global Services (SGS). Miller oversees PSD’s mission to provide consulting and education services around SAS software offerings in 45 countries throughout Europe, the Middle East, Africa, and Asia-Pacific. Her team has developed an extensive knowledge management practice, which is heavily used to share skills and best practices around the world and which serves as the basis for SAS’ leading-edge industry solutions. As executive manager for the development of the SAS Industry Intelligence Solutions, Miller is responsible for the company’s family of solutions for various industries, including banking, telecommunications, retail, and insurance. SAS solutions help organizations gain the insight they need to effectively implement business strategies, retain and grow customer relationships, maximize profits, leverage existing technology, and take full advantage of enterprise-wide data. These flexible, extensible solutions include prebuilt, industry-specific data and analytical models, as well as streamlined processes and techniques that speed up both implementation and results, giving customers a fast track to significant ROI. In addition, Miller sits on the board of directors of SAS Global Services (SGS) operations headquartered in Pune, India. A subsidiary of SAS, SGS is focused on developing software products and solutions, and is part of the company’s global research and development (R&D) efforts. Throughout her career of more than 17 years in the IT industry, Miller has received accolades for her skills in full life-cycle systems development, data modeling, application development, postproduction support, database administration, database performance tuning, and end-user training. Miller holds a masters degree in business administration from Bowie State University and a bachelor of science degree from Augusta State University in Augusta, Georgia. As senior vice president of strategy with SAS International, Allan Russell works closely with development teams in Cary to ensure that SAS software meets and anticipates the needs of SAS’ international customers. He also directs European software development projects. With over 25 years experience working for SAS’ International head office in Heidelberg he has accumulated in-depth expertise of every area of SAS software and the technologies it supports. He also has extensive knowledge of the business applications of SAS from talking, and listening to, SAS customers. Russell is one of the principle authors of SAS’ intelligence platform, an open and scaleable architecture that allows for rapid development of end-to-end intelligence systems that meet user needs and are easy to adapt as those needs change. Chapter 1: Seven Realities That Jeopardize Business Survival: Why Organizations Have to Reassess Their Information Management Strategies. Reassess Your Information Management Strategy. Darwinism on a New-Millennium Timeline. 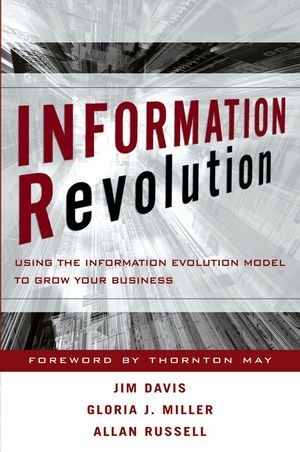 Chapter 2: Information Evolution Model: An Evolutionary Path to Corporate Survival. Five Steps to Maximize the Value of Information. Level 1: The Operational Enterprise: Focus on the Individual and Day-to-Day Tactics. Level 2: The Consolidated Enterprise: Gaining Department-Level Perspective. Level 3: The Integrated Enterprise: An Enterprise-Wide Perspective. Level 4: The Optimized Enterprise: Nimble, Adaptable, and Efficient. Level 5: The Adaptive, Innovating Enterprise: Creating Continuous and Sustainable Growth through Innovation. Practical Applications of the Model. Chapter 3: On the Levels: Information Evolution in the RealWorld. A Closer Look at the Level 1 (Operate) Organization: Individualism and Day-to-Day Tactical Mode. A Closer Look at the Level 2 (Consolidate) Organization: Consolidating Goals and Information into a Departmental View. A Closer Look at the Level 3 (Integrate) Organization: Integrated into an Enterprise-Wide View. A Closer Look at the Level 4 (Optimize) Organization: Optimized for Efficiency and Productivity. A Closer Look at the Level 5 (Innovate) Organization: Driven by Continuous Innovation. Chapter 4: Dimension Tension: When the Whole Is Less Than the Sum of the Parts. What Happens When Dimensions Are Out of Alignment. Different Types of “Dimension Tension”. Chapter 5: Your Business GPS: Objectively Gauge Where Your Organization Stands. Information Evolution Model Self-Assessment Quiz. What Your Quiz Score Reveals. What Happens If You Don’t Assess Where You Stand? Where Should Your Organization Be on the Evolutionary Scale? Chapter 6: Getting out of Operational Mode: The Transition from Level 1 to Level 2. Making the Transition from Level 1 to Level 2. Potential Challenges along the Way. What the Organization Gains from Reaching Level 2. Chapter 7: Gaining an Enterprise View: The Transition from Level 2 to Level 3. Making the Transition from Level 2 to Level 3. What the Organization Gains from Reaching Level 3. Chapter 8: Gaining Market Leadership: The Transition from Level 3 to Level 4. Making the Transition from Level 3 to Level 4. What the Organization Gains from Reaching Level 4. Chapter 9: Reaching Sustainable Growth: The Transition from Level 4 to Level 5. Making the Transition from Level 4 to Level 5. What the Organization Gains from Reaching Level 5. Chapter 10: Information Evolution Assessment Process. Why Go through This Formal Assessment Process? Interview Questions for the Infrastructure Dimension. Interview Questions for the Knowledge Process Dimension. Interview Questions for the Human Capital Dimension. Interview Questions for the Culture Dimension. Transforming Interview Responses into an Assessment. 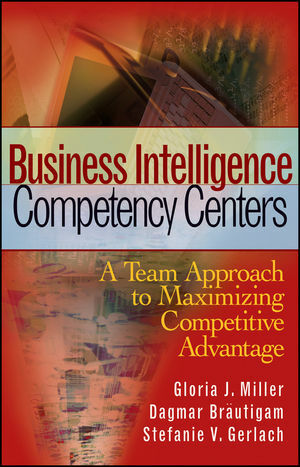 Chapter 11: Business Intelligence, Intelligently Applied: What You Can Gain from a Business Intelligence Competency Center. Why Are Business Intelligence Projects Falling Short of Potential? What Does a Business Intelligence Competency Center Do? Benefits of a Corporate Business Intelligence Competency Center. How Do You Fund a Business Intelligence Competency Center? Chapter 12: Funding Evolution: IngeniousWays to Pay Your Way up the Levels. Reduce Hardware Costs with Grid Computing. Reduce Software Costs through IT Portfolio Management. Reduce Software Costs by Streamlining the IT Portfolio. Pay as You Go, by Using an Application Service Provider. Turn Mature Products into Cash Cows. Calculating the Cost: Evolution or Status Quo.